Add your shops tagline or current promotion here. 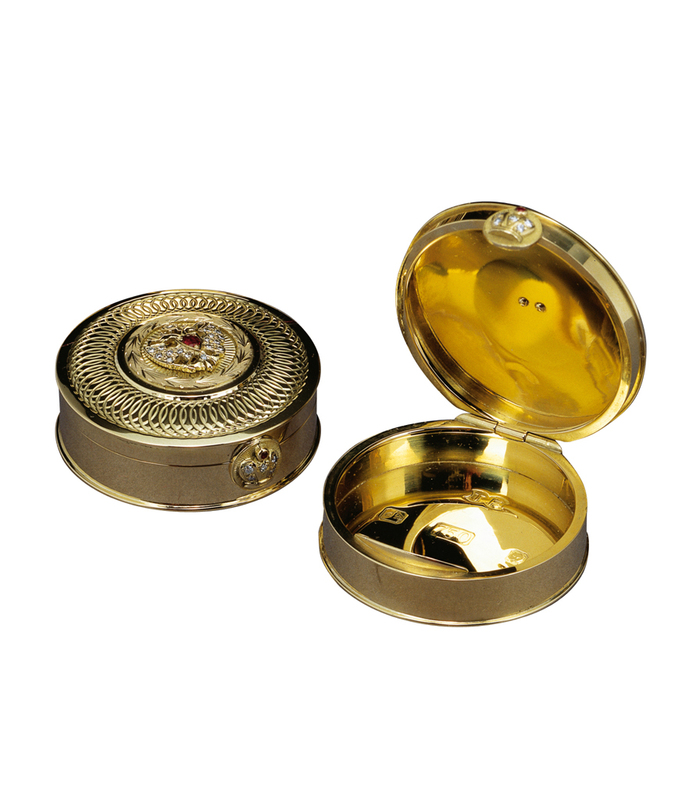 The solid 18 carat Gold Anniversary Box, created by Theo Fabergé is inset with 25 brilliant jewels. The diamond and ruby encrusted Russian double-headed eagle is encircled within a pattern of interlocking rings. The Imperial Crown, inlaid with diamonds and ruby, adorns the creation. 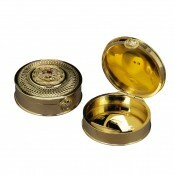 Hidden beneath, the inscribed signature of Theo Fabergé and his own 18 carat gold mark.